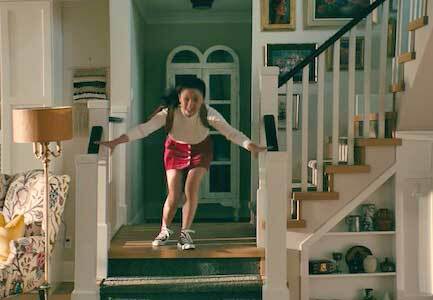 Lana Condor wears maroon high top Converse “Chuck Taylor” All Stars in the film. Noah Centineo wears optical white high top Converse “Chuck Taylor” All Stars in the film. This may be the most aesthetically pleasing shot in the whole film. The romantic comedy (rom com) genre of film has its tried and true tropes. Most of these films follow the same formula and feature the same kind of characters, no matter the setting or actors involved. However, every so often, one film comes along and offers something completely new and that’s exactly what happened this past weekend when the film To All The Boys I’ve Loved Before was released on Netflix. Based on the New York Times best seller of the same name, the film has had considerable buzz around it since its first trailer. That buzz reached a fever pitch after the film’s release though, as Twitter went crazy for the movie, praising it for its characters and love story. When you send your older sister into a frenzied panic. The film centers around the life of Lara Jean Song Covey (Lana Condor), a sixteen-year-old half-Korean, half-Caucasian girl that loves reading romance novels and dreams about finding true love. She’s introverted and doesn’t have many friends, which is why she tends to live her life through her imagination rather than reality. Lara Jean even writes love letters to all the boys she has ever loved, and then keeps them in a teal hatbox given to her by her late mother. There are five boys, including Josh Sanderson (Israel Broussard), her next door neighbor, best friend, and boyfriend to her older sister Margot (Janel Parrish). When Margot leaves for college, she dumps Josh, bringing up all of Lara Jean’s old feelings. 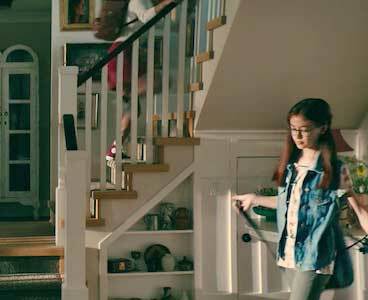 Lara Jean’s younger sister Kitty (Anna Cathcart) believes that Lara Jean needs to go out more and actually tell boys how she feels, rather than keep it all bottled up inside. She decides to take the initiative to send out Lara Jean’s letters to all five boys without telling Lara Jean. Lara Jean’s not the only one who would faint at the feet of Peter Kavinsky. The next day at school Peter Kavinsky (Noah Centineo), one of Lara Jean’s crushes and current boyfriend to her ex-best friend, tells Lara Jean that he’s flattered that she is attracted to him, but that they could never be together. Horrified, Lara Jean realizes that someone sent out her letters, and she tells him she wrote it a long time ago and that she doesn’t feel that way anymore. 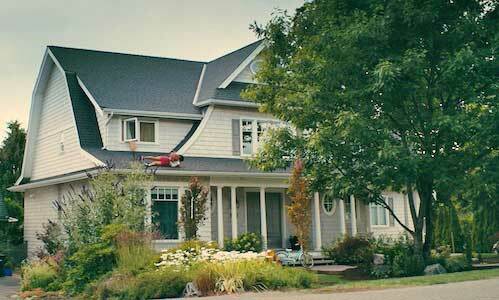 However, at that exact same moment she sees Josh approaching with a letter in hand. She then throws herself into Peter’s arms and kisses him in front of Josh, in order to avoid having to talk to Josh about what’s in his letter. At school, Lara Jean explains her situation to Peter, who decides to go along with the lie, as he has just broken up with his long-term girlfriend Genevieve (Emilija Baranac) and wants to make her jealous. This contract run agreement somehow turns into one of the best movie love stories in recent memory, as their fake relationship slowly blossoms into a real one, and they both develop feelings for each other. Peter and Lara Jean realize that maybe this fake relationship could help them both out. To All The Boys I’ve Loved Before is a well written, modern rom com that is bolstered by it’s amazing cast and well-rounded characters. 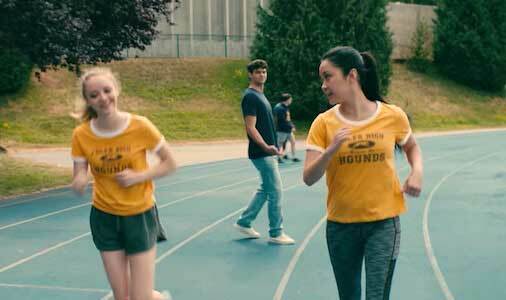 Lana Condor is stellar as Lara Jean, and Noah Centineo steals the film (and the internet’s hearts) as Peter Kavinsky. Lara Jean is one of the few Asian-American protagonists that never retreats into the typical Asian-American stereotypes. Her culture and background is highlighted and appreciated by both the film and the film’s characters, and it’s never viewed as anything other than perfectly normal for small town America. Peter Kavinsky may be one of the best love interests ever seen in a romantic comedy, as he doesn’t force Lara Jean to change who she is to make their relationship work. He loves her for who she is, and helps her open up through their relationship. The biggest change that comes is that she wears her hair down because he thinks she looks pretty with it down, but even this small change can be viewed as symbolic for how comfortable she feels around him. It’s the fact that both Lara Jean and Peter bring out the best in each other (him helping her be less of an introvert and her helping him work through his “high school player” image) is what makes their love feel so real and natural. Rom coms typically suffer with getting their main characters to fall in love organically, but To All The Boys I’ve Loved Before is able to pull it off magnificently. So definitely check out this film on Netflix, just to see one of the best cinematic love stories that’s been produced in some time. Peter Kavinsky wears white chucks in the film. 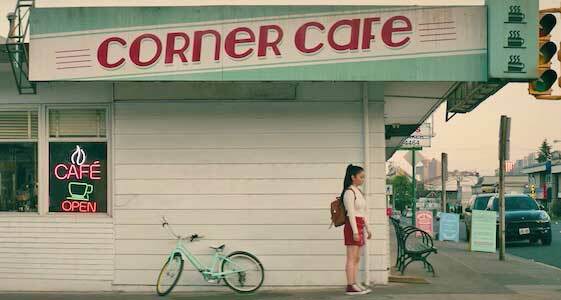 Lara Jean wears maroon chucks as she attempts to get a grasp on what’s happened to her. The best chucks scene in this movie takes place right after Lara’s letters are sent out to the five boys she’s loved before. She heads home and immediately runs into her room while wearing a pair of maroon chucks. She frantically searches for the hatbox that contained her letters, but realizes that it too is missing. She runs downstairs and asks her dad and sister if they know anything about this, and they both say no (a lie in Kitty’s case). Lara goes back into her room and continues to panic when suddenly, the doorbell rings. Josh has come over with his letter in hand, and he wants to talk about it. In one of her most iconic moments of the whole film, Lara proceeds to do what any of us would do when confronted by the then secret love of your life: she jumps out her bedroom window and commando rolls off her roof into the bushes. A legendary act of avoidance all done while still looking fresh in chucks. Haven’t we all thought about just rolling off the roof at least once in our lives? To All The Boys I Loved Before. (2018) Lana Condor, Noah Centineo, Israel Broussarde, Anna Cathcart, Andrew Bachelor, Janel Parrish. Directed by Susan Johnson.